Tiger is back at the Masters! Health is something we all hope to be blessed to have — you can never take it for granted. For Tiger Woods, the last few years have been a long blur of back surgeries, painful workouts, rehabbing, and reading that he’s washed up and can’t play anymore. Physically, he has not been able to play the game he loves. 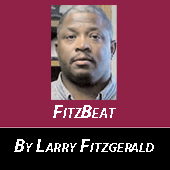 But lately, things are on the upswing for the legendary golfer. “I have no more pain in my lower back. It’s gone,” proclaimed Woods. “Once they fused it and took out the disk — I’m just solid as a rock back there — no pain. The difference is, I don’t have the same range of motion. I’m stiffer there. I wake up in the morning stiffer than I use to [be]. Woods dominated golf like no other player before him. His incredible talents and accomplishments have put him in position to be regarded as the greatest to ever play the game. It’s been a while, so let me remind you of what he has already achieved: He’s the first and only athlete to reach a billion dollars in earnings. He has won 79 times on the PGA Tour — only Sam Snead with 81 has won more. He has won 14 Major Championships; only Jack Nicklaus with 18 has won more. Who can ever forget Nicklaus’ last Major win in 1986 at age 46? He captured his fifth Green Jacket and final Major. Woods is 42; he has won four times at Augusta National. This week, in probably the most anticipated Masters ever, Woods returns with his new swing and a stronger and healthier physique with a chance to prove again he can win at Augusta. It won’t be easy, as so many great players have ascended the ranks in the golf scene. Dustin Johnson is the world’s number-one ranked golfer, while Fed-Ex Champion, Justin Thomas, is number-two — Sergio Garcia is the defending Masters Champion. Rory McIlroy, former number-one, and a four-time Major winner won two weeks ago at Bay Hill with an impressive performance. Phil Mickelson, a three-time Masters Champion, won a World Golf Championship in Mexico three weeks ago. Bubba Watson, a two-time Masters winner, has already won twice this year. And Justin Rose has played consistently well for months. This is it — golf’s first Men’s Major and Woods is again one of the favorites to win. 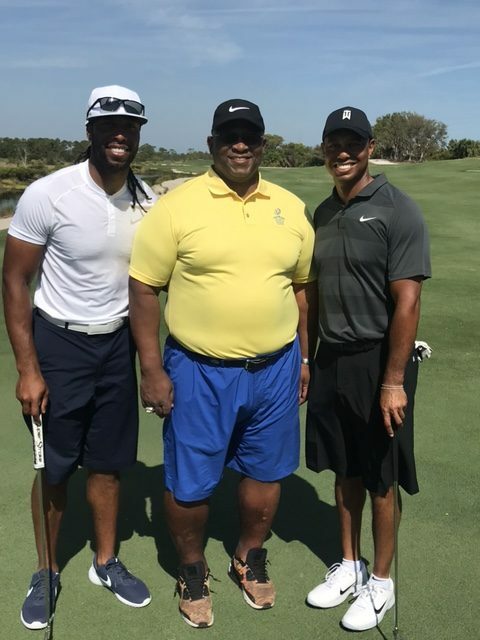 Three weeks ago, my son Larry Jr. and I spent some time golfing with Woods in Jupiter, Florida. Larry Jr. actually played nine holes with Woods as part of a Nike commercial shoot and I got to watch every shot. It was another great thrill of a lifetime for me. Believe me, from what I’ve seen, Woods will win again. Physically he is still adjusting to his new body and clubs. His mind, however, is as strong as ever, and winning in golf starts and requires a strong mind. I’m excited for Woods; yes he’s back and healthy. The question is can he win more Majors? I say, yes!